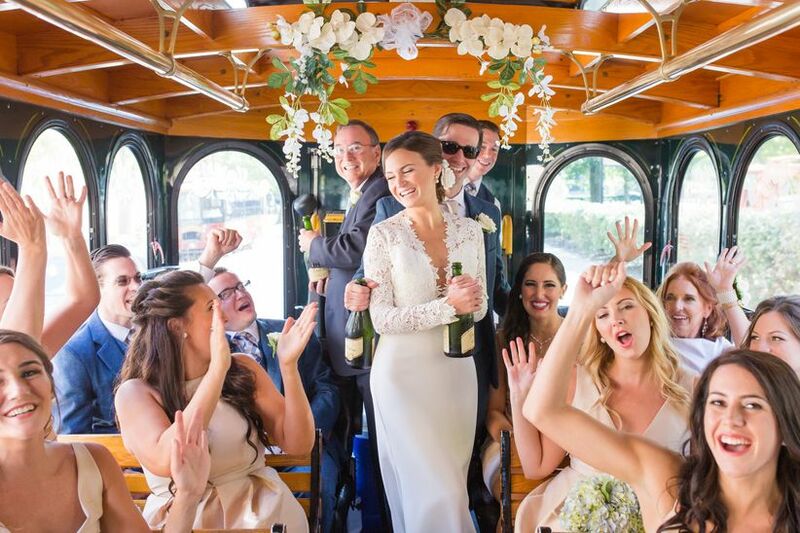 Booking a shuttle for your wedding guests might not seem like a huge deal, but it's one of the most important things you'll do for your big day. 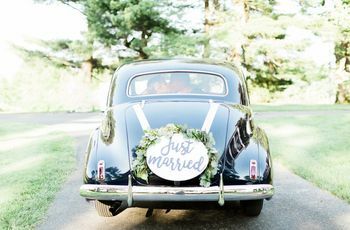 Booking wedding guest transportation isn’t usually on the list of most-fun wedding-related tasks—but it’s actually one of the most important things you’ll do as you figure out your big day. Whether you’re hosting a lot of out-of-town guests guests or just a few, hiring a shuttle service can be a game-changer when it comes to your loved ones’ convenience and safety—and will make your wedding run that much more smoothly. 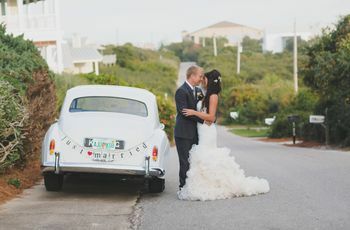 Yes, transporting guests to and from your wedding (yes, you should plan for both) will be an additional cost—but it’s totally worth it, we promise. 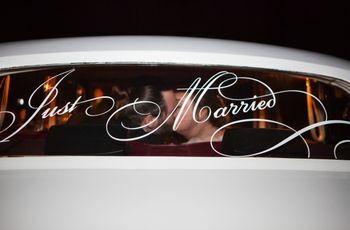 Looking for reasons why booking wedding guest transportation is absolutely essential? Here’s a list to make the case. We’ve all been to weddings where the ceremony is interrupted by loud latecomers taking their seats. It’s rude, it’s annoying, and it kind of ruins the moment. Trusted wedding limo and transportation companies are all about logistics and they’ll ensure that your guests arrive to your ceremony on time—and will factor loading and unloading time, potential traffic snarls, and more into their schedule. 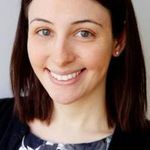 If your out-of-town guests were responsible for their own transportation, it’s likely that they’ll get lost or not allot enough time to get to your venue. By hiring wedding guest transportation, you’ll ensure that everyone shows up so that your ceremony can begin on time and without hiccups. …and they’ll leave at the appropriate time. It’s always a bummer when guests leave a wedding reception super-early and miss important events like speeches, the cake cutting, etc. By hiring wedding guest transportation, your guests will know when it’s appropriate to leave your reception. Of course, it’s a good idea for your shuttle to make multiple round-trips from your venue to the hotel or hotels where guests are staying. That way, older guests can leave on the earlier side while the party animals can stay ‘til the bitter end—but you can time the shuttles so your guests’ won’t miss anything major. It encourages inter-guest bonding—and an extra opportunity to party! If you’re hosting guests from different areas of your life who might not know each other (work colleagues, college friends, family members, etc. ), the wedding shuttle can be a great opportunity for mixing and mingling. From polite introductions and chitchat on the way to the ceremony to the potentially rowdy shuttle after-party after the reception, your guests will get to know each other even better. Who knows, maybe there will even be a love connection? It helps combat drinking and driving. Weddings are a time of celebration and with that often comes a little (or a lot of) imbibing. Of course, you want your guests to get home safely, so hiring wedding guest transportation can take the responsibility and cost off your loved ones to assign a designated driver or call for a taxi. Your guests can party to their hearts’ content without worrying about finding a ride—and you’ll have peace of mind knowing everyone will be safe. Parking woes will be nonexistent. If you’re getting married in a city where venues have limited parking, hiring wedding guest transportation is even more of a must. Your guests won’t have to stress about finding a spot (which can cause late arrivals) and you won’t have to worry about paying for your guests’ parking. The shuttle will simply drop off and pick up guests at a designated spot—no parking necessary! Shuttles not only move people, but also stuff. At the end of your reception, you might find yourself with lots of stuff you need to bring back to your hotel. Gifts, floral arrangements you want to keep, décor items, family heirlooms, and more—these things can accumulate surprisingly quickly! A shuttle can be extremely helpful in moving lots of stuff to and from your hotel, along with your guests. You won’t have to ask your Uncle Jerry to schlep that giant gift in his trunk—the shuttle can handle that for you. Your guests will be happier. This is perhaps the most important reason why wedding guest transportation is a must. Your guests have enough to deal with—booking travel and accommodations, buying gifts, figuring out what to wear, and more. By taking care of transportation, you’re giving your loved ones one less thing to worry about. 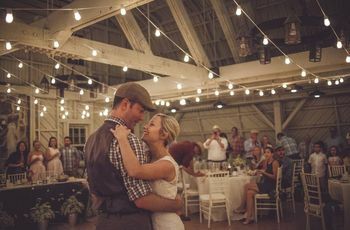 Instead of arriving to your wedding frazzled and rushed after spending 20 minutes stuck in traffic on the freeway, they’ll come happy, refreshed, and more than ready to celebrate!